We take pride in maintaining long-term relationships with our customers. Whether residential, commercial, or municipal, we can take on any project. 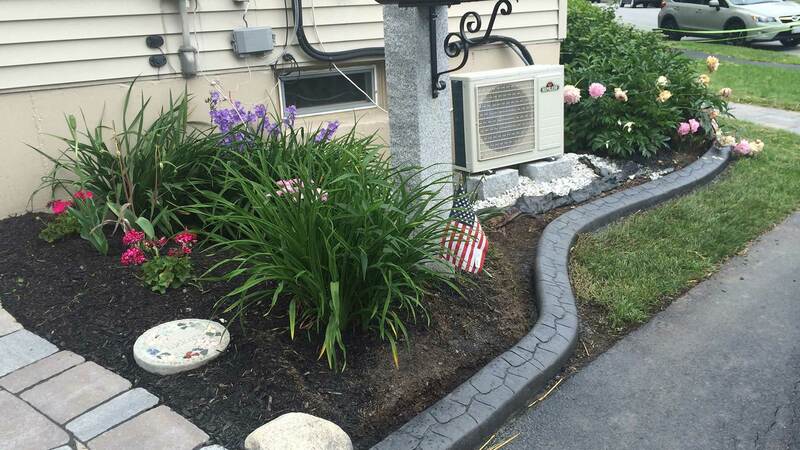 Cudmore Curbscapes is a full-service landscape company based in Freeport, Maine. Most of our work is done in the Midcoast region and surrounding communities including Brunswick, Topsham, Yarmouth, and Falmouth. Our specialty product is decorative concrete landscape edging. 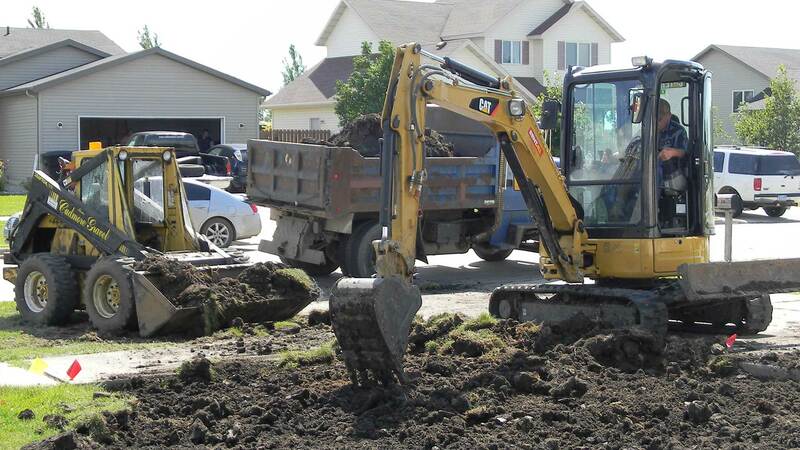 Other areas of service include landscaping, excavation, and garden services. 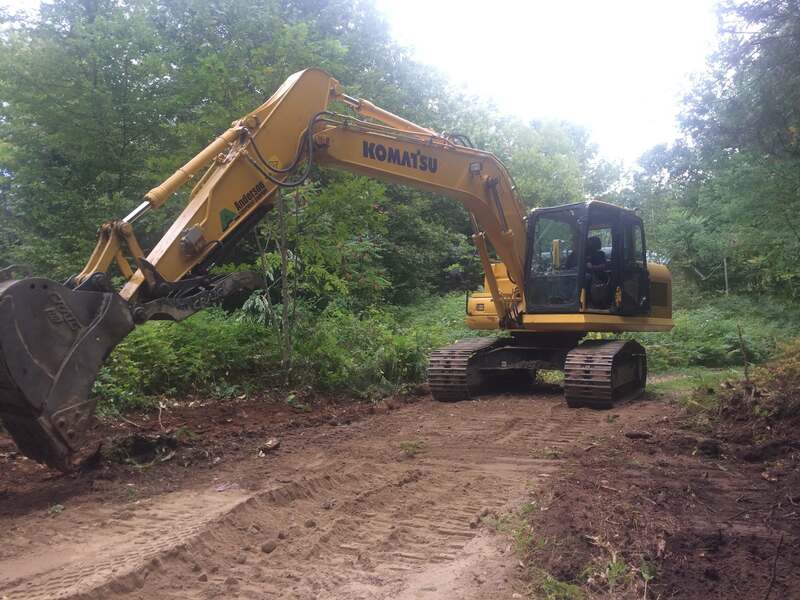 Cudmore Curbscapes is certified by the Department of Environmental Protection in erosion and sedimentation control practices and shoreland zoning, which allows us to work within 75 feet of a lake, river, or pond. 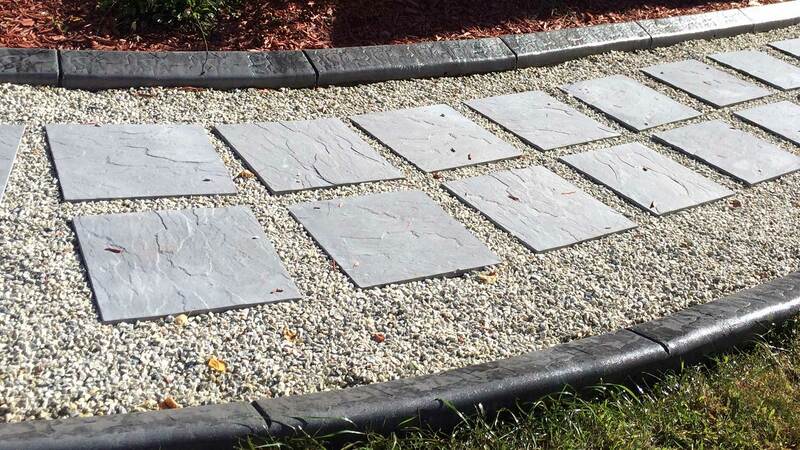 Our decorative concrete edging is an innovative way of edging your landscape or flowerbeds. The edging we offer creates the look of many different materials, such as stone, brick, or wood and provides easy maintenance for property owners. One solid piece of continuous concrete landscape edging means no more weeding between the cracks or re-edging your property every year. Our edging can also be as traditional or modern as you’d like. Additionally, 24-inch walkways and custom down spout troughs are available to match your edging. 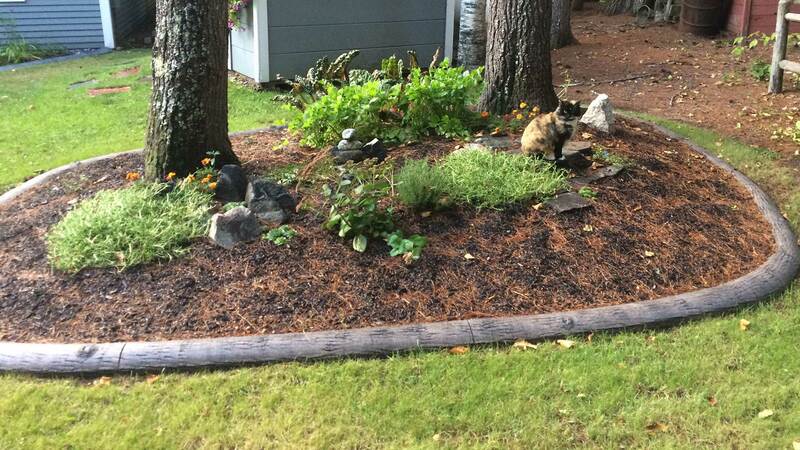 Cudmore Curbscapes prides itself on being a small Maine-based, woman-owned landscaping company. We take pride in maintaining a long-term, recurrent relationship with our customers. Our past clients are not just residential, but also commercial, state and federal. We can take on any project, big or small. 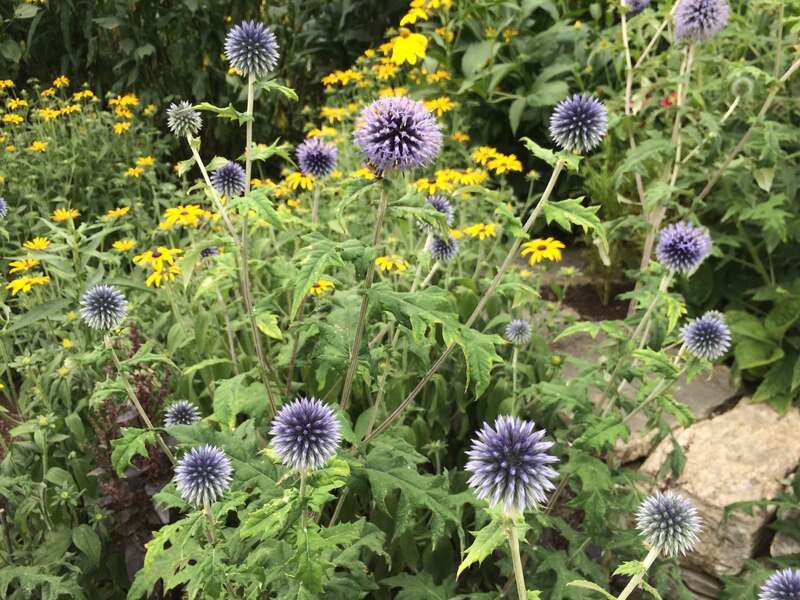 Get your landscaping project started! 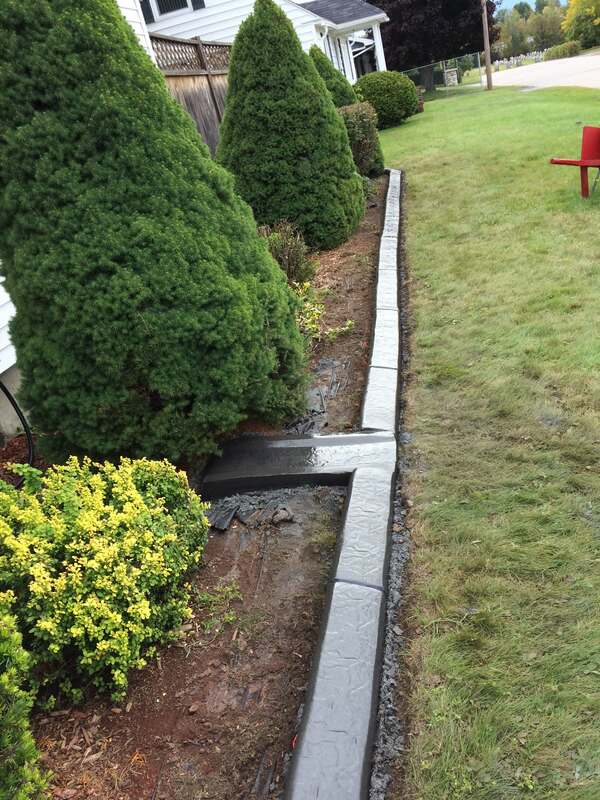 Cudmore Curbscapes is a Maine landscape contractor offering a wide range of services available throughout the state. When you see our products, you will understand why we are changing Maine’s landscape! Below are photos of some recent projects. Click the thumbnail images below to view larger. Are you tired of re-edging? Our decorative concrete landscape edging is affordable, durable, and will add value and appeal to your property. We install patios, walkways, and retaining walls to improve the look and function of your home. We're even DEP certified and can handle all your erosion problems! 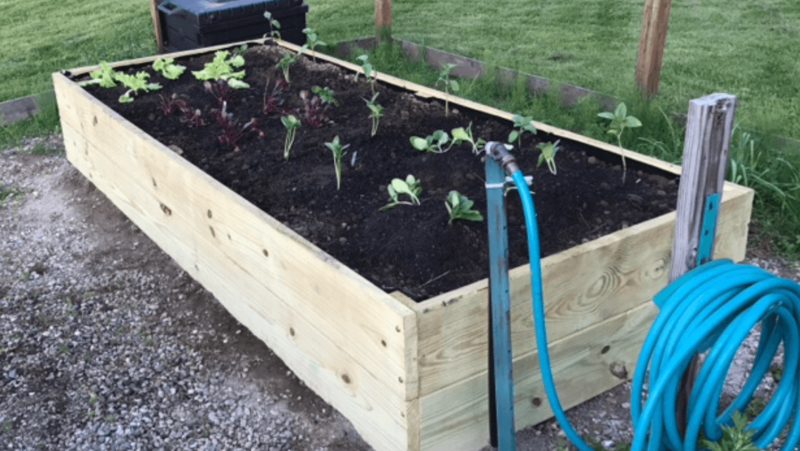 From simple garden bed clean ups to planting and routine maintenance plans, we can create or maintain a beautiful garden that you’ll enjoy all summer long. We take pride in maintaining long-term relationships with our customers. Whether residential or commercial, we can take on any project, big or small.